Appalling presence, the power of the waters. Bred west of Caucasus a harder mysticism. The jar is a cultural artifact but it is placed on top of a hill suggesting its relative importance when compared to nature. 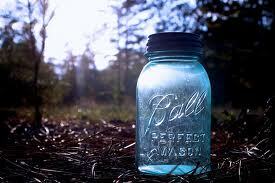 The jar immediately imposes a form of order on the disordered (“slovenly”) wilderness: “The wilderness rose up to it, and sprawled around, no longer wild.” Even a simple, bare, grey jar, because it’s created by the human mind (“It did not give of bird or bush”) has the ability to dominate and transform nature (“It took dominion everywhere.”). Stevens believed that human artifacts alone produced meaning and that without our perception and concepts nature would remain a wild and chaotic place. For Jeffers the purpose of art is to present reality not to transform it. He would have thought it the height of presumption for humans to believe that the reality and beauty of the world was dependent on our ability to see and transform it. ← What Does It Feel Like To Lose One’s Mind? He was merely our greatest poet, and recognized as such during the 20’s & 30’s, with his picture on the cover of Time mag April 1932. Thank you Zoli, although having one’s picture on the cover of Time is usually an indication that obscurity will soon follow, a phenomena born out by the subsequent treatment of Jeffers. So would the AT, PCT or the CDT be Art, they transform, trails brings meaning, before those places were just a chain or mountains, or a series of points on a map, but they bring purpose and order to the chaos that is the wilderness. I am not sure I have a complete thought on the whole subject matter, it might take my mind a little time to wrap around your points presented. I think Jeffers considered most of his poetry to be a requiem on man’s interaction with wilderness. As the pioneering psychologist Jean Piaget demonstrated, cognitively developing children progress through assimilation and accommodation stages until they’re integrated in the adult. It’s not either/or. Thank you Nico. Like Michael, I think humans manage to do both. I’m not sure about that. Look at hunger strikers. They can resist even the strongest urge. Jeffers rejection of ‘modernism’ and the solipsism of Stevens et al, was forcefully stated in his ‘Pescadero Canyon Epiphany’ of 1914. Zoli, it really isn’t worth talking about Jeffers without you in the conversation. Thank you as always for your valuable input. I wonder about the subject/object problems in the picture of reality given to us by the mathematical sciences, the discovery of an underlying order, or laws, and the supreme abstractions which explain all known experiences, uniting them together simply and, beautifully. What is the object of our knowledge, and contemplation, or of beauty when we are taken by it? Is the artist the best mediator? Has he given us such a thing in his presentation, and how can we know his vision goes beyond his or our own subjective experiences? Chris, thank you. These are wonderful questions which leave me in the unusual state of being at a loss for words. Unlike Jeffers, I don’t believe in a reality outside of the one we perceive, and I base that belief on logic, not presumption…but I certainly enjoyed this magnificent poem! What a wonderfully deep thinker. I think you need to re-read Malcolm’s thesis. Wow…again, such great insight and writing; it just flows beautifully. You are a man of many diverse and great talents Malcolm. Thank you and please forgive me for the delayed reply which is explained by my later posts. Malcolm, another great post. Your ability to take an idea/concept and turn it around at incredible angles in order to see something unique is amazing in its own right ~ but to then be able to write so succinctly and passionately to share such thoughts is a gift. It is a very presumptuous world we live it, yet having someone remind us to step away and see reality/nature for what it is…it allows us to see the simple beauty. Dalo, thank you, although everything you say also applies to your own photography. Jeffers was the people’s poet. They bought his poetry and actually read it, which is why academia always ignored him. Haven’t seen a post from you in a while, Malcolm. I hope all is well in your sphere. Will welcome your insights and perspectives when time enables your return. Eric, thank you for exercising the humanity you write about so eloquently. Missed posts are like newspapers (remember those?) sticking out of a mailbox indicating either that a person is away or that something is wrong. I will return soon.